Middleweight king Gennady Golovkin was as shocked and surprised as the rest of us when Canelo Alvarez tested positive for an illegal substance a week or so ago (clenbuterol being found in the Mexican’s system), yet Triple-G is hoping, like the rest of us, that the May 5 rematch between he and Canelo goes ahead as scheduled – that Canelo passes all coming drug tests and, after a thorough investigation, is cleared. Yet as we await the decision of the Nevada State commission that has the tough job of getting to the bottom of this whole unfortunate series of events, GGG has made sure he has in place a Plan-B for in case his big-fight rematch does not happen as planned. GGG, as quoted by The Mail, says he will fight reigning and undefeated WBO middleweight champ Billy Joe Saunders next if Canelo is handed a ban or suspension. In truth, fans agree how they would be shocked if Canelo did get a suspension; and how they would be totally shocked if the superstar who pulls in so much money (and of course maintains his utter innocence, saying he merely ate infected or tainted meat whilst in Mexico) was handed a ban. Most expect the May 5 fight to indeed go ahead as planned, but until we get official confirmation, nobody knows for certain. 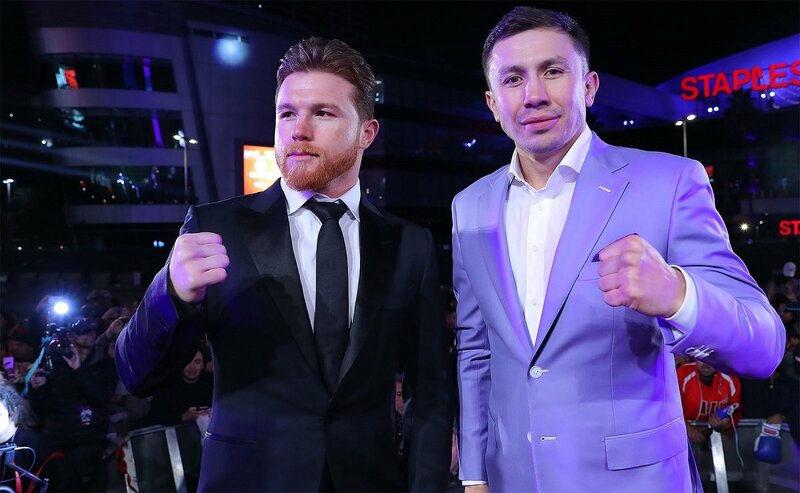 A Golovkin-Saunders fight would prove interesting, but at the same time this fight is a long way below the rematch the entire world demanded back in September when GGG and Canelo drew over 12-rounds. Also, Saunders has to get past a determined Martin Murray on April 14. How soon will BJS be ready to go again after that fight?